Apple Inc. on Wednesday unveiled the iPhone 5, saying it’s thinner and lighter than the previous model, even though it has a bigger screen. Marketing head Phil Schiller unveiled the year’s most eagerly awaited phone at an event here. 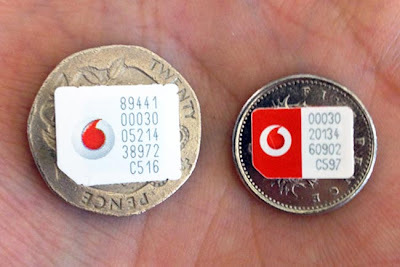 The phone costs between $199 for the cheapest 16 gigabyte version and $399 at the top end. The release is expected to help the company recapture attention and revenue after it lost the lead in smartphones to Samsung this year. As expected, the screen is taller than on the iPhone 4S, making room for another row of icons. Mr. Schiller said the screen is 18 per cent thinner and 20 per cent lighter because of new technology that eliminates a separate touch-sensing layer in the screen. The phone is made entirely of glass and aluminium. It can connect to the fastest new wireless data networks, both in the U.S. and overseas. — AP, Reuters. 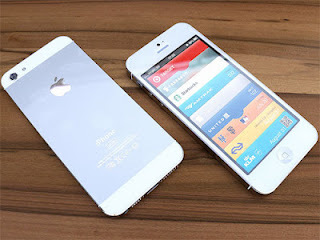 After month of long speculation, Apple announced its newest smartphone to the world , the iPhone 5, as it seeks to the wart of growing challenges from rivals like Samsung, Google and Microsoft great compititer of the world with Apple. In a well packed conference hall at Yerba Buena Centre in San Francisco, The Apple marketing chief - Phill Schiller said the Apple as glass and aluminium smartphones the “most beautiful product ever made” and also described that it is the best engineering product that Apple has ever made. The brand new phone is available for pre-order from Friday in U.S, Canada, U.K, France, Germany, Australia, Japan, Hong Kong and Singapore, and they will ship within one week to our destination. By the end of the year this year it will be available in top 100 countries through out 240 carrier partners. Mr. Schiller marketting chief shared some few key statistics about the phones, which at 7.6 mm thick is the world’s thinnest smartphone ( ever ) , 18 per cent thinner than its predecessor. 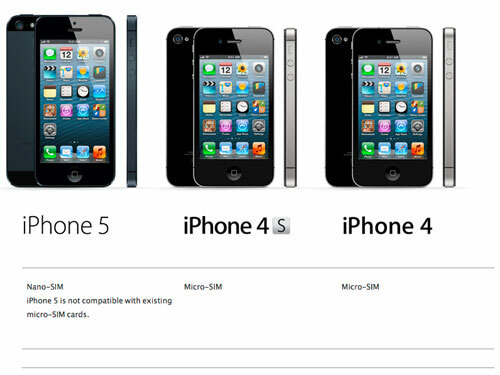 The iPhone 5 weighs 112 grams, 20 per cent lighter than 4S. 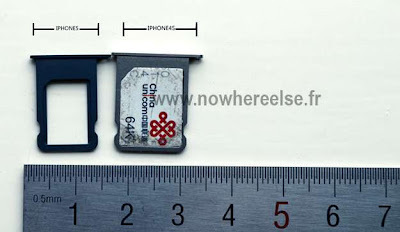 The phone runs with Apple A6 chip, which is twice as fast and powerful as the A5 chip used in the previous version of the phones ever relessed. It will access with the latest LTE cellular network and the feature of the battery that’s good ever 10 hours of web browsing over Wi-fi and other networks allocatedd in the world with it. The best camera is built around 8-megapixel and features a precision with five-element lens for better low light performance and 40 per cent faster photo capture speed than before. Apple also improved video capture and the phone’s audio system well improved, including a noise-cancelling earpiece is good. Also as expected, The Apple is now releasing a new version of phone software, iOS 6. It will have a new mapping software in it , The new software will have turn-by-turn voice navigation, a feature Google had limited to Android versions of its mapping app. Apple said the phone’s virtual assistant, Siri, will be giving very good directions. All the rumors and excitement was worth it. 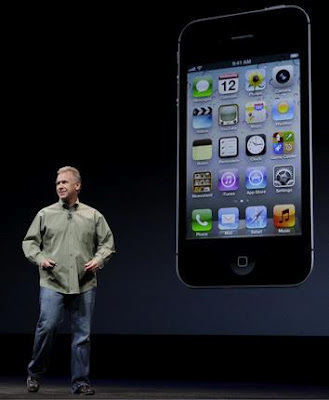 Apple finally unveiled the new and most awaited iPhone 5 at yesterday’s event in San Francisco. This new gadget will go on sale by September 21 in the U.S. and four other countries for $199 for 16GB, $299 for 32GB or $399 for 64GB. Till date, Apple had sealed its lips about what surprise is in store for everybody in the Sept 12 media event, but it did give a small hint about the launch of iPhone 5 with the design made on the invites showing a big number 12 followed by a shadow of 5 and a text written above `its almost here’ signifying the release of its new generation iPhone 5. And it all came true. 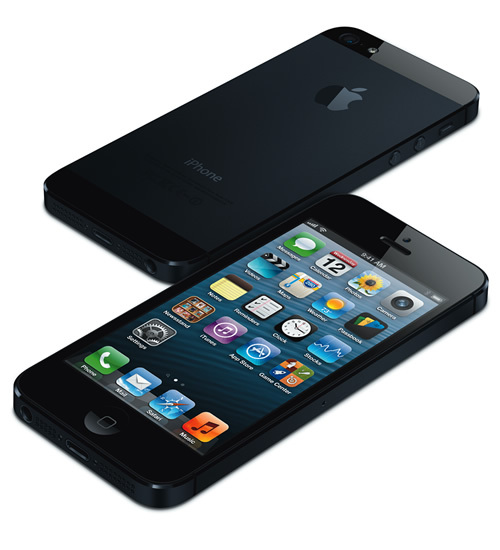 * iPhone 5 is larger and has a beautiful 4-inch display with 44 percent more color saturation than its predecessor. * Fast connectivity to telecom networks. *An improved battery life with 225 hours of standby, 8 hours of LTE, 10 hours of Wi-Fi, 8 hours of 3G, and 10 hours of video. * Very light in weight, with only 112 grams ( 20% lighter than the iPhone 4 and 4S), height 4.87 inches, width 2.31 inches and depth 0.30 inch. * The most amazing part of this phone is that it is made of glass and aluminium. “Today we’re introducing iPhone 5… It’s made entirely of glass and aluminum,” were the words said Apple’s Worldwide Marketing Senior Vice President – Phillip Schiller. * It moved its audio jack to the bottom of the device which is being liked by everybody as it gives an elegant look. * 8 megapixel Camera with backside flash, hybrid IR filter, five-element lens, sapphire lens, 40 percent faster on photo capture, and HD video recording (1080p) i.e. up to 30 frames per second with audio. * Improved video stability, face detection, Face Time over cellular and the ability to click photos while shooting video, etc. * Apple EarPods caters remote and Mic. * Improved speaker design in the Audio system with 20 percent smaller speaker and wide-band audio. * Apple also unveiled 9 pin dock connector called Lightening, which is 80% smaller to the 30 pin dock connector that was used commonly in all the iPhones, iPads and iPods. This new dock consists 8-signal designs that can be plugged in from any side making it more comfortable for the users. 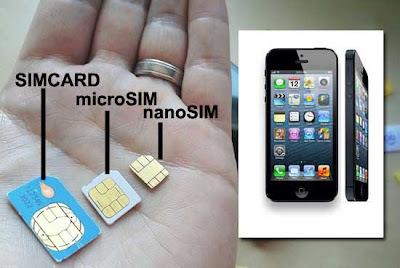 * Apple also confirmed that iPhone 5 is not compatible with the existing sim which means iPhone 5 users will have to shift to nano sim cards.